Why Choose Windrush Kitchens & Bathrooms? We believe our superior standards of quality and service are what sets us apart from our competitors. We pride ourselves on the high standard of our work. We make sure that all of the little details are taken care of so you can enjoy your new kitchen or bathroom for years to come. Making improvements to your home can be a daunting prospect and we understand that finding the right partner is crucially important. We strive to provide a professional yet personal service, from your initial enquiry to project completion. We are traditional tradesmen with expertise across a variety of trades, including site carpentry, bench joinery, fitting joinery, wood machining, plumbing, heating and gas systems. Any subcontractors are trusted professionals held to the same high standards that we set ourselves. All of our projects have a single point of contact–either Seb or Steve–serving as the project coordinator, providing regular status updates, reviews of the project and answering any queries you may have. 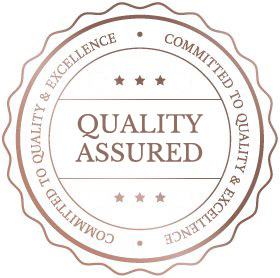 At Windrush Kitchens & Bathrooms, we understand our customers' satisfaction is our success. Our goal is 100% customer satisfaction and we strive for that in all we do. We've built our reputation on the work we have carried out for local people, most of whom come via word-of-mouth recommendations. Unlike many of our competitors, our focus is work within our local area. For major projects we will travel further afield, but we are committed to providing excellent service for local people and businesses. It's this personal service that defines Windrush Kitchens & Bathrooms and stands us apart from the competition. With us, it's never just a job, every customer is important to us. Based in Witney, Windrush Kitchens & Bathrooms are trade professionals specialising in the design, supply and installation of quality kitchens and bathrooms. Covering Witney, Carterton and surrounding areas. We offer a full range of services from repair works to a complete kitchen and bathroom installation service, which includes all aspects involved in fitting your new room. Windrush Kitchens & Bathrooms Limited is a company registered in England and Wales with company number 08878879. Registered Office: 55 Thorney Leys, Witney, Oxfordshire OX28 5BX.